It is the middle of the summer and in my part of the country it is hot outside. Did mention it has been over 100 degrees hot? In this kind of weather, if you want to spend time outside there must be water involved. 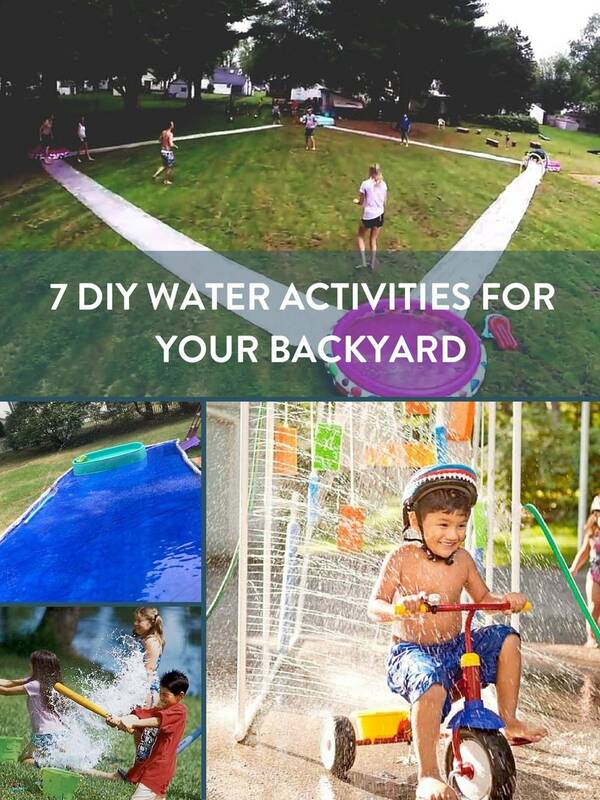 Here are 7 DIY water games to make your backyard a fun and cool place to play this summer. Large water guns used to blast each other is really a game that could be loved for hours. Check out the tutorial here. This one is the best DIY version I have ever seen. It uses a tarp, pool noodles and a easy built in hose. Check out "how to" here. Set up several of these and make a sprinkler obstacle course, or just make one and have some fun. Here is how to make this fun sprinkler. The goal of this game is NOT to get water balloons in your bucket. To do this you must bat the balloons away. Check out more details over on Bob Vila's website. Make a little mini shallow splash pad with a tarp and some pool noodles. Unlike the slip and slide, this is on flat ground. 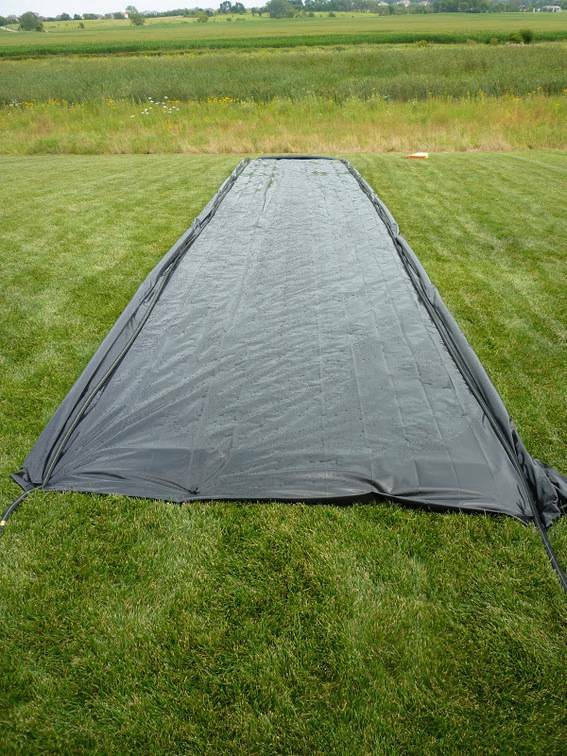 The tarp fills to a thin layer of water. Here is the best tutorial I have found for this project. This DIY sprinkler car wash would be really fun. It could also be a great stand alone sprinkler to run through. This activity is really fun for all ages. You play kickball but you must slide into the "kiddie pool" bases. You can get fancy and set up obstacles along the way. Here is how to build your playing field and how to play. I hope this give you ideas how to get outside and have some fun. Are you looking for more kid activity posts? Check out this DIY travel activity post from Curbly.